Star ladies punk shirt in red tartan print with bunched short sleeves and layered frill at bust and collar, with red lace trim. Button fastening. Star ladies punk shirt in pink tartan print with bunched short sleeves and layered frill at bust and collar, with pink lace trim. Button fastening. Star burlesque ladies shirt in black cotton with bunched short sleeves and layered frill at bust and collar. Button fastening. Dita sleeveless gothic top in white floral stretch lace with frilled chest and brooch fastening collar. 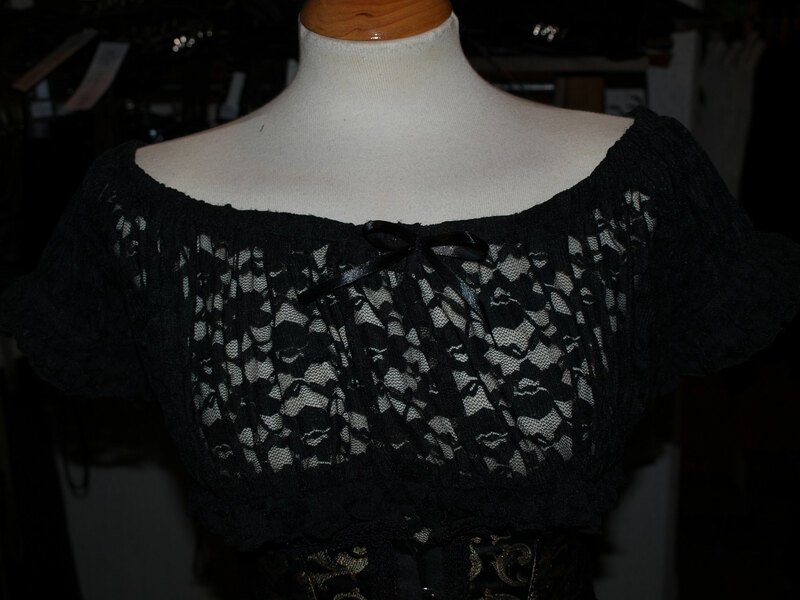 Star burlesque ladies shirt in black lace with bunched short sleeves and layered frill at bust and collar. Button fastening.